This release is again mostly bug fixes. There is a TON of behind the scenes work going on for upcoming features. Those features may start showing up soon, and are sure to impress. 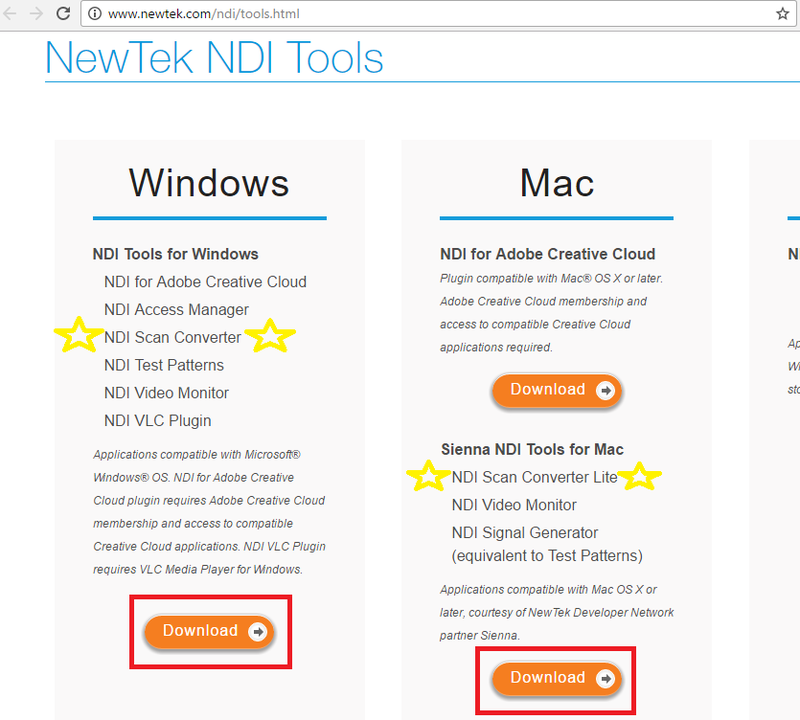 In the meantime, this release has NDI support! Try it out and let us know how it works! Shannon Atkinson It has been noted by GameShow staff that this is going to take some time as they are working on other things right now. It is planned. But we need to tie a bow around one feature in particular before we move on to that. Guess I'll have to keep waiting to be able to throw money at ya guys. Ovadex , is that in relation to Beam support? Bryce Stejskal oh, yea, guess I should have mentioned that. Gameshow is, hands down, the best software for streamers. A lot of us would love to exploit a lot of the features your competitors just don't have on a new platform Microsoft will be promoting heavily. Beam doesn't have a lot of "AAA Streamers" on it yet so a lot of people who love your product, including myself, want to be the early adopters that make it to the top. когда появиться языки. нужен срочно перевод меню программы. Hotkeys completely broke. Rebound and reassigned ineffective. Only setting global worked, but that requires any other process to take foreground to work. Could you elaborate on "transfer menu"? Thank you. Мейсен я хотел бы что бы меню поддерживало русский язык и немецкий.а то английский для меня затруднителен. Still no support for custom video transitions? We have had between 5-10 requests for custom transitions. There is some prerequisite work to do it in an awesome way. So that has to be done before we can think about working on that. That being said, we are doing a ton of under the hood changes that lead up to awesome features. Stay tuned, 4.0 is going to be a great release. What is the big deal with Beam? No offense, but I'm not a big fan of being forced to watch some stream I may not even like to gain exposure. I have never been forced to watch anything there... what do you mean Donovan Lewis ? Bryce Stejskal You can legit just walk away from a stream and get (undeserved) experience and get access to stuff. I don't hate Beam, but it's like a legalized Twitch view bot in my eyes to some extent. And literally the only games that seem to get any form of attention are PC titles. Not to mention the new streamer and rising star section is really flooded. It's a good site, but every streaming site has it's flaws. That includes Beam. Who knows? Maybe I'll try Beam again sometime. I don't see the correlation to twitch view bots as it's only you on your account. You only get sparks on one stream watched so it's not like you can open a dozen tabs and farm it. The new and rising sections are probably "flooded" since there's a lot of new people joining. Regardless, what does this even have to do with allowing streamers to use this software on that service? Ovadex 1. Got nothing to do with the topic. The first reply is about "no Beam support". Is it about the beta? Yes. Still mentioning Beam, though. 2. When I said "legalized Twitch viewer bot", I meant in a sense. "Oh, you can't watch multiple streams with multiple tabs open". So what? Doesn't change the fact that you can get EXP simply by walking away from a stream that you're not interested in and just leave it open. At least on other streaming sites, you legitimitely earn your viewers. So what the leave you in the dust. At least you know they aren't interested. Even if there are a bunch of people watching on Beam, chances are they will not care about you or your stream. Probably the only reason why people would stay is to remain AFK and farm EXP off you. 3. If they're going to add a "New Streamers" section, they should at least make it more organized. Have an 'auto-rotation' code or something that randomly chooses new streamers and the ones that don't get rotation get put in the list you usually at the bottom of it. Heck, the 'Rising Stars' section could do the same thing. I'm currently giving the site a second chance. I had a bad experience with the site before. It might be better, it might not be better. I don't know. This is all my opinion. You're free to disagree. 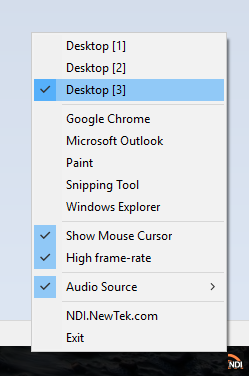 I don't have a NDI device yet but I don't see any option to add one. I'm assuming it'll automatically pop up under capture devices when it's live? 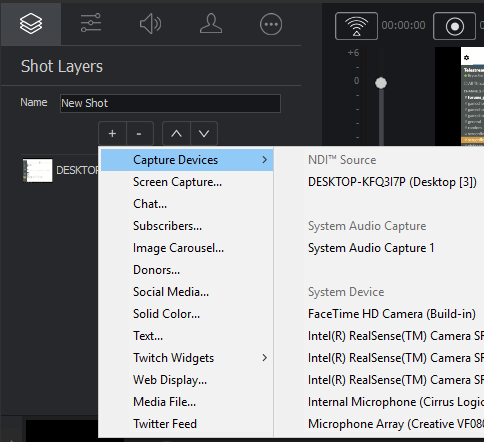 Long Tran Yup when you make and NDI source on your network and start Gameshow it will appear in the add capture device list.